We all know about white collar and blue collar jobs, but IBM says there should be a third variant: new collar jobs. They are jobs somewhere in the middle between professional careers and trade work, meaning they combine technical skills with a knowledge base rooted in higher education. As the US prepares for several decades of robotic automation, IBM believes that if society doesn’t begin prizing adaptability over expertise in certain cases, many people won’t be able to find a job. The valuable worker won’t necessarily be the one who knows everything, but who can adjust if and when another job gets turned over to machines. “What matters most is relevant skills, sometimes obtained through vocational training,” IBM CEO Ginni Rometty wrote in an open letter to President-elect Donald Trump in November 2016, introducing the idea of new collar jobs. Rometty says these are “entirely new roles” in areas such a cybersecurity, data science, and artificial intelligence — the server technicians, database managers, and other assorted IT roles. To create these new roles, IBM sees a connection that needs to get drawn between employers and the colleges or vocational schools their employees are coming from. “We’re seeing a growth in jobs that require some college, and in most cases a two-year degree at least,” Stanley Litow, president of the IBM Foundation, tells Business Insider. 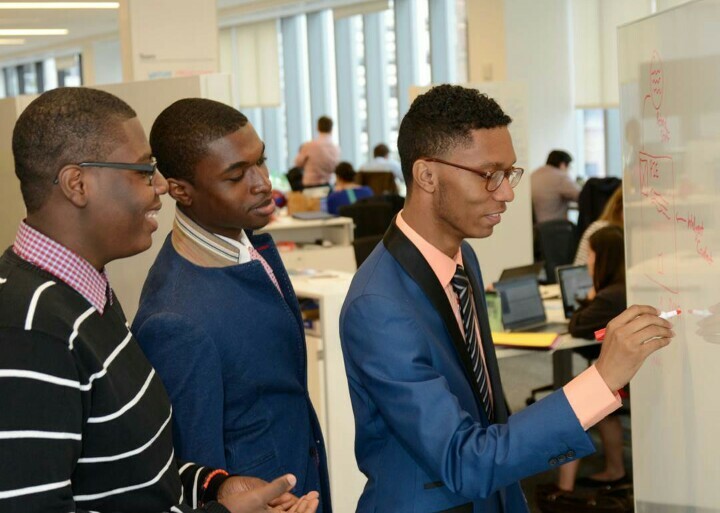 From IBM’s perspective, that creates a greater need for companies to work with students while they’re still in school to show them how their skills can be applied in the real world. One example: IBM helped created the P-TECH vocational schools, which involve six-year programs that combine four years of high school and an associates degree. Many of the students go on to work at IBM, find jobs at other companies, or pursue bachelor degrees. A chief goal of the P-TECH schools is to help lower-income students find their way into STEM fields (that is science, technology, engineering, and math). Research suggests these are disciplines where poorer kids are largely absent. More generally, only about 10% of 24-year-olds from low-income families had a college degree in 2011, compared to roughly 70% of people from high-income families. “If we can’t move that number up, we’re going to be in a very, very bad spot, not just in terms of the economic circumstances, but the social circumstances,” Litow says. He argues it’s in everyone’s interest for companies, big or small, to bridge the gap between higher education and the working world. That’s not to say Litow or IBM believes four-year degrees are dying or should be dying. The data suggest more Americans are graduating high school but fewer are enrolling college. There are a raft of factors, but one is that grads still don’t immediately see the value college offers for job prospects. In a healthy economy, the jobs are already there front-and-center. But as Rometty, Litow, and many labor economists have emphasized, they may not always be. To prepare for that future, companies may need to think up new ways of bestowing their workers with valuable skills.